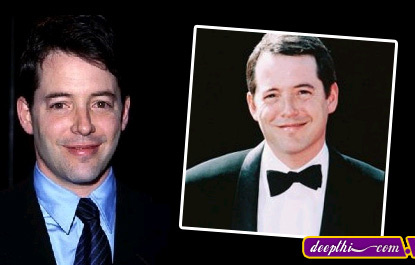 Matthew Broderick born in New York City, USA. He starred as the computer hacker who nearly starts World War 3 in War Games (1983), and gained commercial success in Ferris Bueller's Day Off (1986). He earned a Tony award for the Broadway production of the Neil Simon comedy hit Brighton Beach Memoirs (1982�3), and another for the musical How to Succeed in Business Without Really Trying (1995). Later films include Godzilla (1998), Inspector Gadget (1999), You Can Count On Me (2000), and The Stepford Wives (2004). He made his directorial debut with Infinity (1996). He returned to the stage in a musical adaptation of the Mel Brook's cult film The Producers (2001).